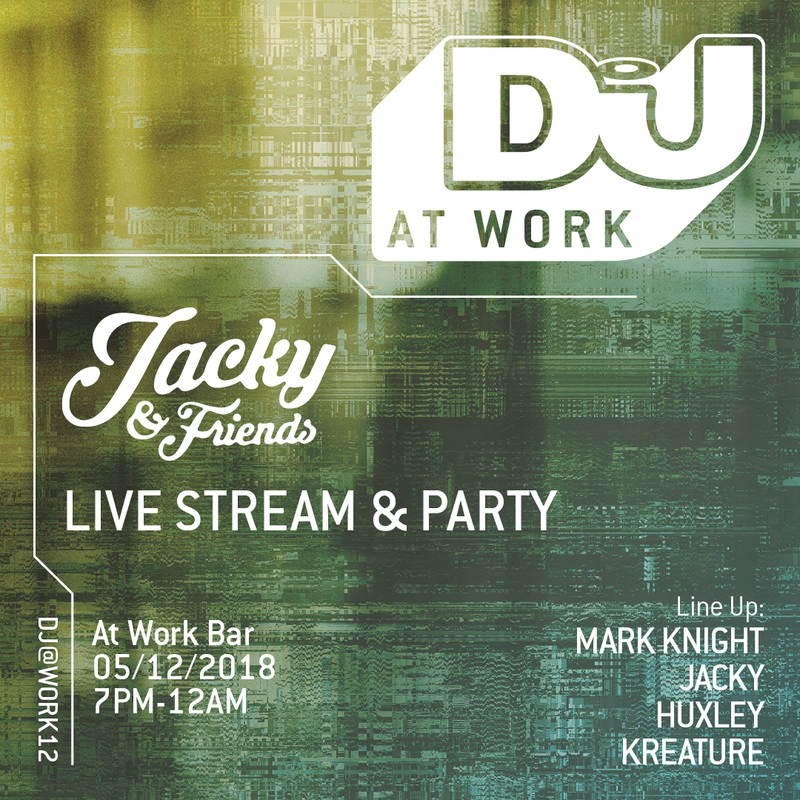 DJ Mag At Work x Jacky & Friends w/ Mark Knight, Jacky & more! On Wednesday 5th December we’re throwing a midweek party with Jacky and some of his best DJ pals, Mark Knight, Huxley and Kreature. Kicking off at 7pm through to midnight, kick the midweek slump and come down for a drink and a dance with four UK house dons. COMMENCE brings its own unique underground sound to London, accompanied by some of the hottest upcoming talent around, they make their debut Work Bar. 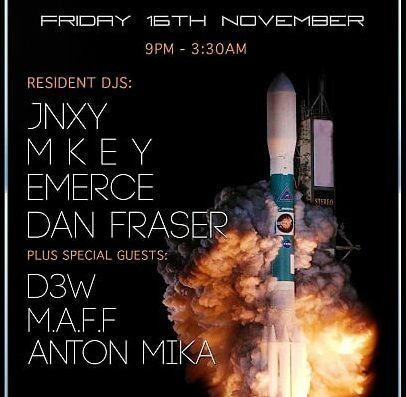 COMMENCE DJs, JNXY, M K E Y, EMerce and Dan Fraser, each bringing their own unique vibe to the floor, ranging from disco through to techno their diversity has something for everyone, no matter what your melodic taste, the same as a special guest of the night! D3W – A DJ duo and label owners from Newcastle upon Tyne, who are rapidly making moves in the underground scene up in the North East of England. With a residency held at the legendary Cosmic Ballroom and releases on Crossworld Academy, Lemon Juice records and their own label Do What We Want Records to name a few, their profile is on a rapid incline with their tracks being supported by likes of Joe Ingesias and Black Girl / White Girl they are a one to look out for 2019. Anton Mika – After representing Hott Like Detroit’s ‘Trouve Grooves’ playing everywhere from Ibiza to Budapest this summer supporting acts like Camelphat and Hott Like Detroit, his feet have barely touched the ground and with the addition to the line up at ADE in support of Green Velvet and Mihalis Safaras to name a few Anton is very quickly becoming recognized for his outstanding talent and unique sound. M.A.F.F – A London Based DJ who is no stranger to performing at some of the biggest clubs and events within the capital, with regular appearances at EGG as well as various hotspots throughout East London and the Shoreditch region. Having just returned from Budapest smashing his set on the Budafest boat party with 33, one of the hottest events in London at the moment, and his recent number 1 release in the Minimal / Deep Tech chart with the Dimensions EP he is guaranteed to take the roof off when he brings the vibes to COMMENCE. Expect a wide musical spectrum from groovin’ disco through to banging tech house, with nothing but good vibes and powerful energy, you are guaranteed to be taken on a journey through space and time by some of very best up and coming selectors around at the minute. 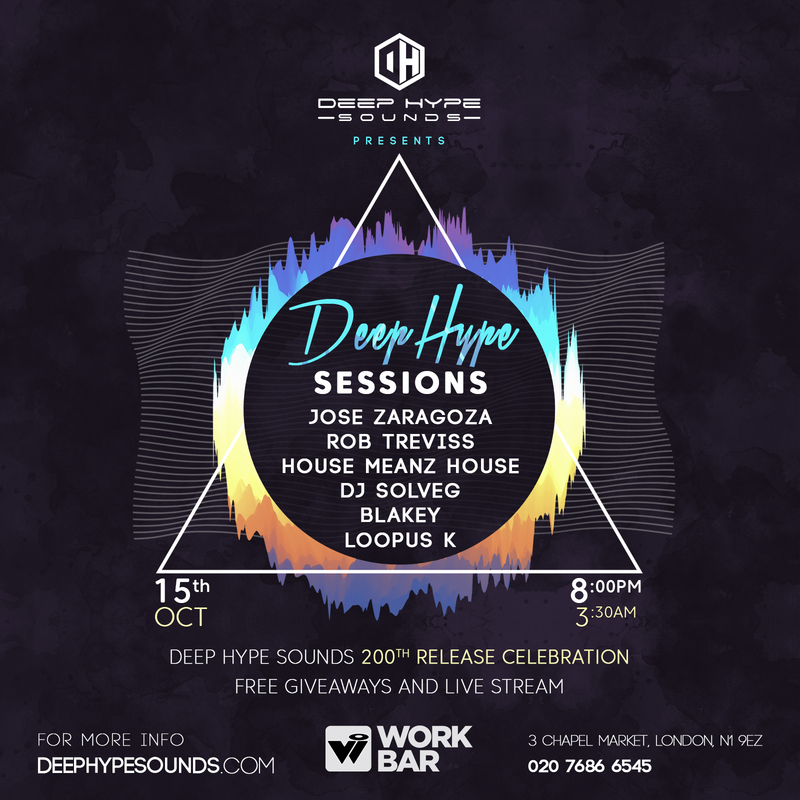 Deep Hype Sessions: House Meanz House, DJ Solveg & more! Wow!! It only seems like yesterday that Deep Hype Sounds was compiling its 100th Release and with a lot of hard work and fun along the way we are now on the verge of releasing our 200th . As we love the fun side of life all of us at Deep Hype Sounds thought “ what better way to celebrate the occasion than by organising and throwing a party “. So that’s just what we did !! 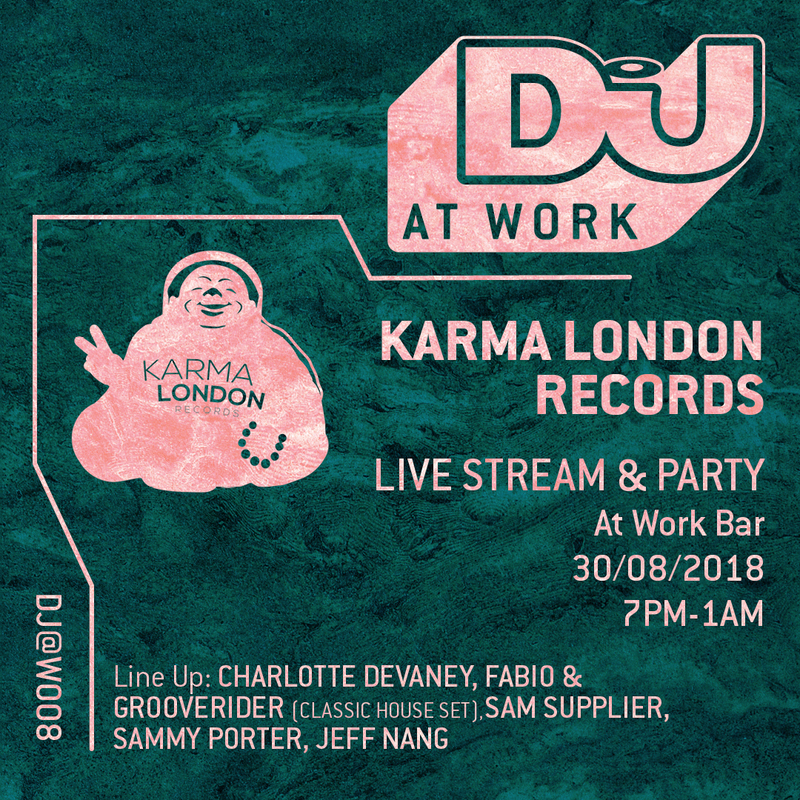 The 200th release party will take place on Nov. 9, 2018, from 8 p.m.- until close at The Work Bar, London N1, one of London’s most popular venues with an excellent reputation of hosting some of the world’s best known house DJs. With label freebies and great house music this is one not to be missed . Deep Hype Sounds was launched in 2008 by Chicago Native Jose Zaragoza with a core group of artists and producers. The label quickly gained a reputation for taking the time to encourage new artists to the industry and keeping it all things house. To this day Deep Hype Sounds stands at the forefront of underground music, specialising in genres ranging from classic house to techno. The label is the go to choice for many DJs around the world when searching for quality underground house music. The Anjunabeats All Night series sees some of the label’s best-loved names showcase the full breadth of their musical tastes, in one-off all-night sets at venues throughout London. 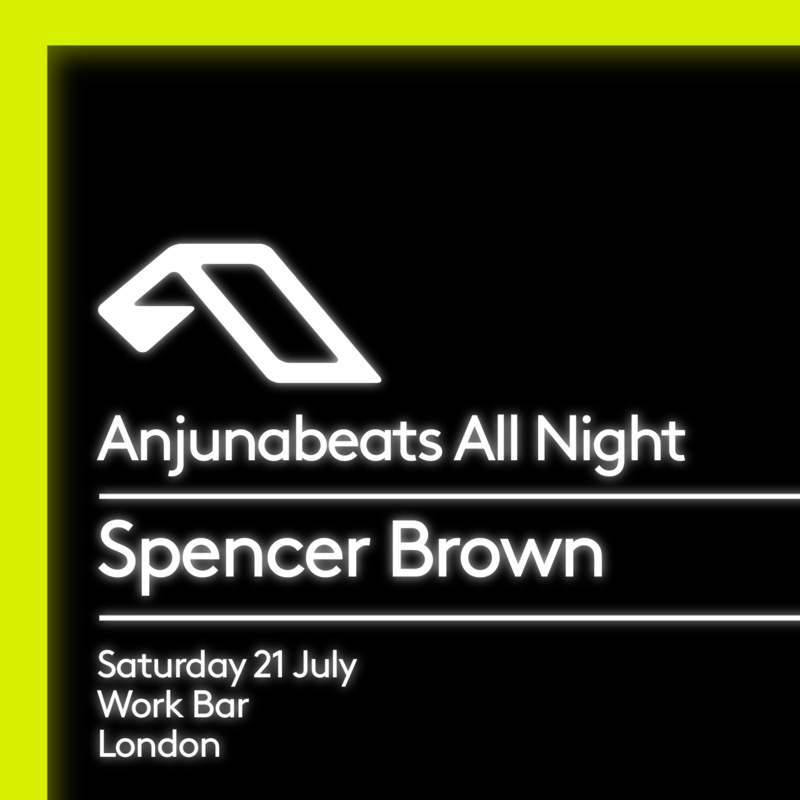 Fresh from his set at Above & Beyond’s 15,000 capacity Steel Yard show, San Francisco’s Spencer Brown returns to the UK for an intimate all night gig at Work Bar. 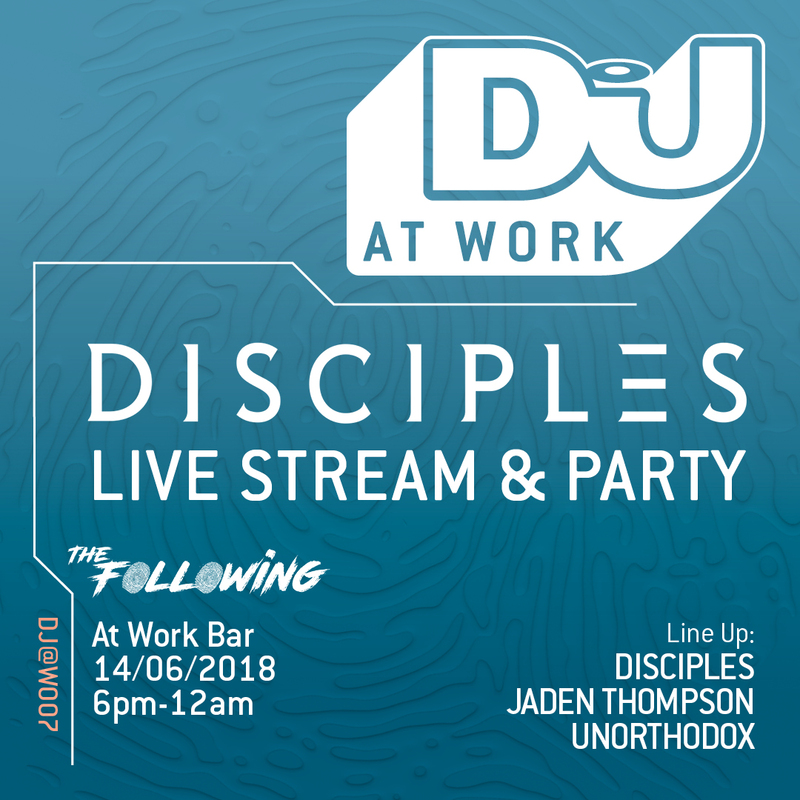 On Thursday 14th June, Disciples will be taking over at DJ Mag’s London HQ for a night of pumping house beats and hands-in-the-air anthems. The event is part of DJ Mag’s ongoing At Work series which aims to highlight influential promoters, parties and labels from across the UK and beyond. 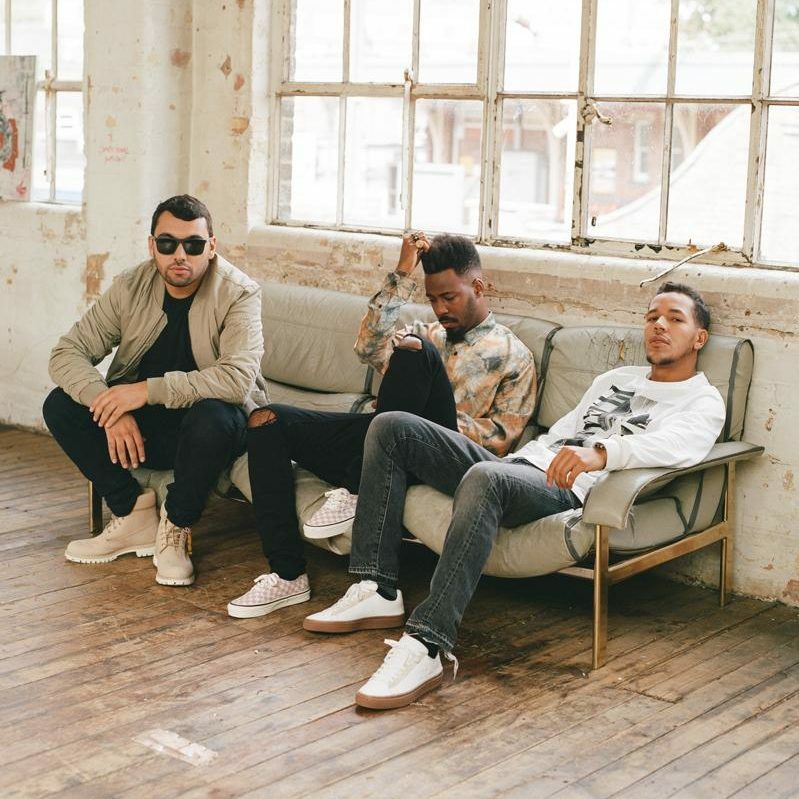 Disciples — who are best-known for their radio smash ‘How Deep Is Your Love’ featuring Calvin Harris — will be bringing their ‘The Following’ party concept to DJ Mag’s intimate, LED-laden club space.